I inconveniently listened to this episode after visiting San Francisco. 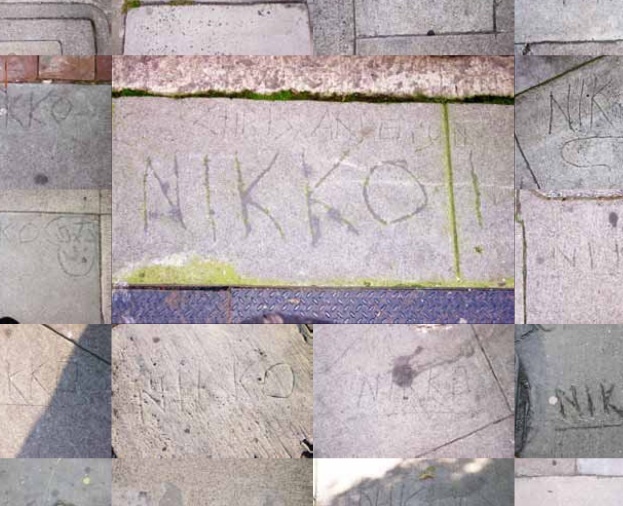 Wish I had done so before so I could have been on the look out for Nikko carvings. Albeit I did notice a stencil of a girl holding balloons on a curb. It was a rather impressive eight inch stencil with the little girl in black and white, and several balloons in magenta, green, blue, and yellow in her hands. I am a distance runner and when I visit a new place I enjoy mapping it out on foot. The first time I saw it, I only gave it a thought for a moment, but when I saw it again I began to pay attention. It showed six or seven times while I was there for three days. I distinctly remember one along the Great Highway as it goes by the west end of Golden Gate Park. They may have been done in the past two years. The colors are still vibrant and I did some perusing of Street View from 2011 and couldn’t find one. I wish I had seen one while I had a camera. It is a little message of sorts. Positive in color and childish in nature.